A van carrying radioactive isotope Iridium-192 has crashed in north Bosnia, local media reported. The vehicle ran off the road after colliding with a car. The police blocked the area around the crash site. Bosnia’s nuclear safety agency reported that no radiation leak had been detected. 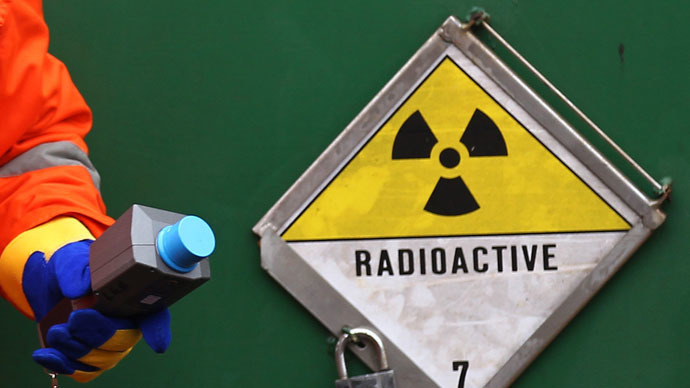 The van was transporting "apparatus with radioactive material" from the Vinca Institute of Nuclear Sciences, the Banja Luka-based Nezavisne Novine newspaper reported. After the collision, the van overturned. The radioactive material, however, which is in a solid state and poses no risk of large-scale contamination, remained contained, the authorities said. The cargo belongs to a company from the city of Prijedor licensed to work with radioactive material, said Emir Dizdarevic, director of the Bosnian nuclear regulator. The driver of the car was killed in the crash, while the van driver and a passenger traveling with him survived. Iridium-192 is a radioactive isotope with a half-life of 73.83 days. It is also a strong gamma ray emitter and is commonly used as a gamma ray source in radiography and radiotherapy as a radiation source. According to the UN, Iridium-192 is the isotope that most frequently goes missing when radioactive materials are used to make a dirty bomb.